Between 1205 and his death in 1227, the Mongols under the l leadership of Genghis Khan conquered large areas of Asia. Prior to Genghis the Mongols had been only a group of tribes. He had unified the tribes and modernized the tribes and forged the Mongols into a nation. Genghis killed countless during his conquests. He left devastation in his wake. Yet he was also a tolerant man who enabled contact between east and west. Genghis name was actually Temujin- this means iron in Mongols. the name Genghis was an honorific title and was bestowed upon him in recognition of his great successes. Genghis had a very difficult childhood. His father was murdered and his family was expelled from the tribe. The young Genghis had to hunt for food to feed his family. He killed his half-brother when he was only a boy. Such violence was typical of the brutal life of nomad on the Steppes. This was typical of the man. He was cruel from an early age. However, he was always cruel for a purpose he used violence to secure his goals. He employed terror during his campaigns to get his way and to demoralize the enemy. 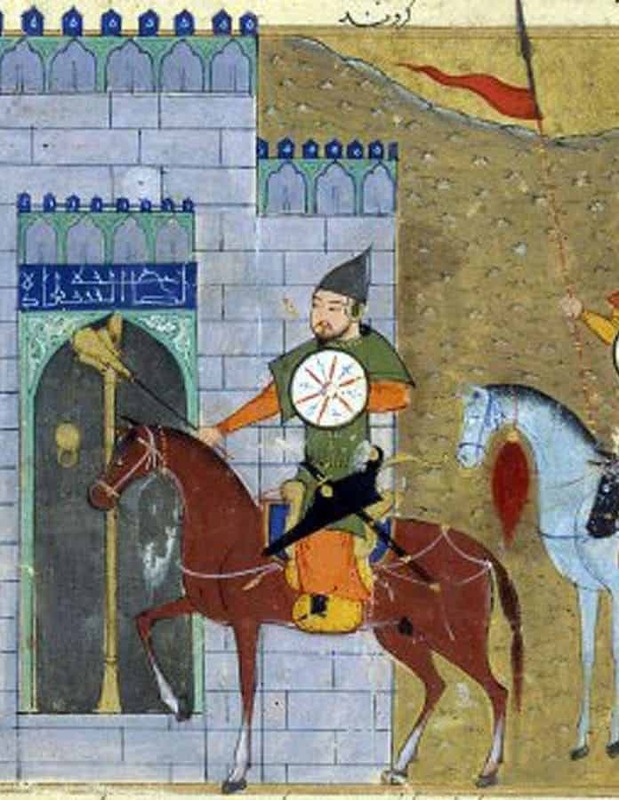 Like other Mongols, he was an expert shot with an arrow and a horseman. He lived most of his life on a horse. He introduced a new code of law for the Mongols which was based on traditions and customs. He also had an alphabet established for the Mongol language and this allowed it to be written down. No one knows how many people were killed because of the invasions and raids by Genghis. The population of countries such as Persia and China did not recover for centuries. Some historians have estimated based on census figures from the Chinese Empire that up to 40 million people died in Genghis attacks on that Empire. What is certain that Genghis and the Mongols brought warfare to a whole new level of brutality. Of all the enigmas surrounding the Khan’s life, perhaps the most mysterious is how he died and where he was buried. The traditional state he died in 1227 from injuries from either a fall from a horse, an arrow wound or malaria. However he died, the Mongols took great pains to keep the whereabouts of his tomb a secret. Everyone who came into contact with it was murdered to ensure that its location was a secret. However, most agree that he was buried near a holy mountain in Mongolia. Genghis was very tolerant of other religions which for the times very rare. He respected all religions and the Mongols continued to adopt a tolerant policy on religion long after his death. To help him to keep his vast empire together- Genghis was to establish a postal service. Post was delivered using despatch riders. They delivered messages to all parts of the Mongol Empire. It is believed that Genghis at one time planned to exterminate the population of Northern China. He wanted to use all the land of the region as pasture for the flocks of the Mongols and especially their believed horses. Genghis was persuaded not to do so by a Khitan official who persuaded Genghis that the Chinese would pay taxes and provide services that the Mongols needed.